I read too much, it's educational, it's escapism, it's travel without risk, it's spiritual, it's entertaining, it's the foundation of a civilized world. I really enjoy books that not only have plenty of chemistry, but a strong plot and plenty of twists to challenge my mind. This book fits the bill. 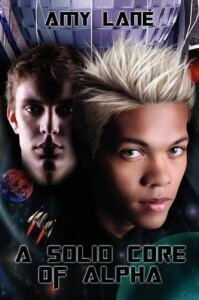 I'd call it a psychological thriller romance...set in future space of course! Highly recommend.